Isaac’s is a Professionally Licensed and Insured moving company capable of providing moving services across the US and around the world. In the USA we have offices in Boston, Philadelphia, and Houston, with capabilities of moving families anywhere around the continental USA and together with our international affiliations around the world we can move you to any place in the world. When you choose Isaac’s Moving & Storage for your next move, you can be confident that you’re choosing a licensed and insured professional moving company with more than 25 years of experience. Thousands of customers have chosen Isaac’s for a wide range of moving projects, and we are proud to provide moving services that lead the industry in reliability, efficiency, and safety. Isaac’s have an A+ rating with the Better Business Bureau and excellent ratings on review sites like Angie’s List and Google Reviews. 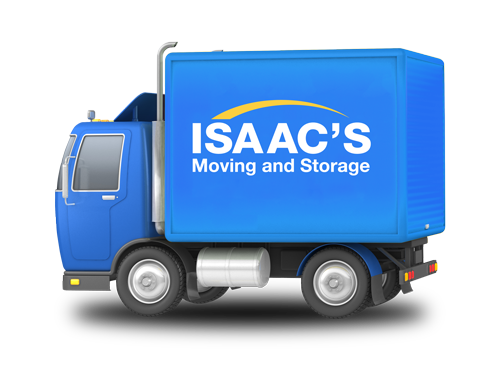 Isaac’s Moving & Storage offers moving services that meet your needs. From local, long distance, office & industrial commercial, international, and senior moves, Isaacs will take care of all your moving and storage need; Packing/unpacking and short or long term storage. Isaac’s Moving and Storage offers everything you need to make your next move a success.